Human resource, the controlling center of an organization. It acts as the connecting link between employees and company management in contacting one another. The HR department handles everything related to an employee in a company. It is the proper and grassroots level understanding between an HR and employee, make the company function utmost smooth and productive. The HR plays the role of a moderator between company management and the employees in terms of decision making, problem resolution, accrediting rules and regulations and more. The decisions taken by any HR shall be totally unbiased, keeping in favor both employees and company management. It should suit and address both community. Problems in and around the HR department can be really fatal for the company as well as the employees. Lack of productivity, efficiency, dedication from employees etc. can be the by-product of these mishaps. Such a situation should never arise in a business organization, and for mitigating these issues in the HR department, here I enlist certain tips which the HR can follow. In this blog, we are discussing certain tips for the HR department which can transform the working protocol of HR department, making it effective and productive. Understanding is something which is very important for a strong relationship and the case of the HR department is no different. Empathy is something with which the HR department should function. Knowing the employees is very essential for handling them smoothly.HR should be properly aware of the personal lives of employees, their work life, role, their strength and weaknesses, their comfort and discomfort zones etc. Also, the HR should be capable of handling each employee according to their nature. If you are aiming for a long run in the HR department, these steps are a must. With these techniques, the HR department can ensure employee engagement and productivity which will make the organizational goals easily achieved. An HR should be completely aware of his role, this may sound bizarre, but in reality, most of the HR’s just become living robots who do their works just as assigned by the management without doing much to the employee side. This is not the way an HR department should function, HR should always break the stereotypes and bring in a positive revolution in the work culture within the organization. HR should mainly focus on activities like talent management, employee engagement, a positive collaboration between employees and organization etc. rather than all day paperwork. Understanding business is a must for the HR department so that the right implication of strategies can be put forward with. Planning something without knowing the base, is the biggest blunder anyone can make, likewise in the case of HR working for a company without proper understanding the business, any decision made can turn harmful and disruptive. The HR should have bird’s eye view of the corporate umbrella, that is the HR should properly know about their stakeholders, potential employees and complete understanding of the company management. Getting hands-on technology is something which can be really beneficial to the HR department. To make things easier the HR department can make use of HR software. 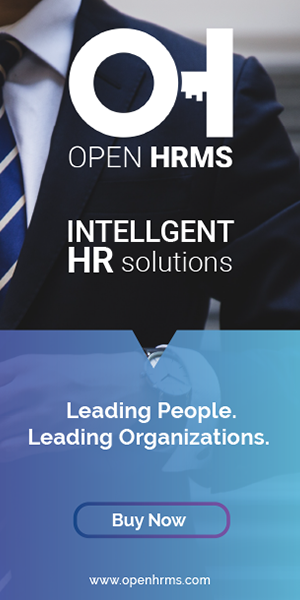 With the adaptation of HR software a lot of process like employee attendance, timesheet, payroll, leave management, transfer, recruitment etc. can be automated and made error free. This saves a lot of time for HR, which can be used for productive purposes. This also reduces a lot of stress for the HR which will make his functioning smooth. HR should always improve his skill set, it is then only he will be able to cop up with the changes happening in the business sector and act accordingly. To widen the skill set the HR can make use of the internet, e-learning, seminars based on his/her field of working, training courses etc. and if necessary he/she can also take projects which can be beneficial to his/her working and HR profile. All these activities will make sure that you are going with the flow without holding behind. HR’s should also arrange a meeting with the company management on a monthly basis to understand what new things they want and then later put these strategies into practice in order to make these requirements possible. All these activities will let you polish and expand your skill set. The HR should invest a good amount of time to connect with other HR professionals working across various sectors. This will ensure that your skill set is updated on a regular basis. With these connections, you will be able to know about the change in trends happening in the business field and then introduce some clever strategies to make the business move along with these changes and thus to be on the productive front. This will make sure that the knowledge level of HR will increase which will eventually lead to an expansion of the business. Keeping a connection with like-minded HR’s is really helpful, it will give you a correct vision regarding the industry which will make you capable of leading the company to success. The newly hired persons in a company will be in a lot of confusion, mentoring them is the proper way to bring them to the real work life, this will help them to improve personally as well as professionally and finally, they will start doing their work well. Proper and friendly supervision always bring out the creativity of employees which will boost the productivity of the company. As a mentor HR can set goals for the employees and track the progress of their work. The HR personnel’s should be flexible in their work. The adaptability of HR in various situations determine his/her flexibility. If the HR tends to lose the flexibility of his work, it eventually creates a negative impact on both companies as well as the employee. HR who has got an organizational commitment will definitely be flexible with his work. To maintain the flexibility of your work you must always update yourself about the new trends happening in the field, bring out new ideas and provide proper support to both management and the employees. Even though the designation is termed as an HR manager, you shall never be a boring manager, instead, you should be an enthusiastic and encouraging leader. After all being a dictator only shall bring out a negative impact among employees which reduce the productivity of the company. You shall always lead the employees from the front, give them proper guidance, support and backup them whenever necessary, find their flaws and provide proper feedback and thus be a proper leader whom the employees can rely on upon without thinking twice. This is the most important tip which can be given to any HR. Totally merging with your role is very important to bring out the maximum efficiency of the HR. the HR should be multitasking and keep focused on the work he does. He should also have good negotiation skills, extremely good communication skills along with good analytic and problem-solving skills. Thus an HR should live his/her job rather than just performing it. Be an HR who is determined, passionate about the work and overall a proper hard worker. With all these tips you can surely step up in your HR career and thus aid your organization in achieving development.